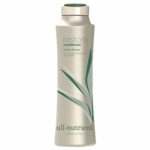 This Rainforest-based formula provides maximum protection to color-treated hair. Grapeseed, Rapeseed, and Sunflower Seed Oil along with natural anti-oxidants protect against color fadage caused by free radicals, UV rays, hard water and other environmental factors. 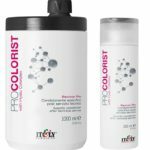 Exclusive NutritiveColorCeuticals™, a concentrated system of microproteins, amino acids, vitamins, minerals and essential fatty acids, replenish all the vital nutrients color-treated hair needs to stay vibrant and shiny. UV & Color protection formula. DEA & MEA-free. Paraben-free. Gluten-free. 100% vegan. Pure rosemary oil, natural jojoba and aloe vera moisturize, nourish, detangle - and help prevent head lice. 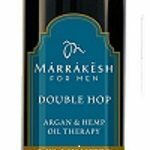 Soothes, softens and conditions hair as it helps prevent head lice with organic herbs of rosemary, gernaium and cherry bark. No pesticides, chemicals or toxins. Paraben and sulfate-free. Formulated without nut oil, dairy, gluten or soy. And color-safe for mom's hair too! This plant-infused formula is rich in amino acids, natural vitamins and organic oils to moisturize and restore vitality in dry, stressed hair. Rainforest Cupuaçu butter penetrates deep within the hair follicle to create a smooth, new surface on the hair. 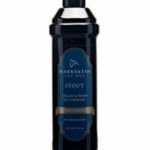 An exclusive Omega Fatty Acid Complex softens the hair from the root to equalize the lipid balance and impart lubricity and shine. UV & Color protection formula. DEA & MEA-free. Paraben-free. Gluten-free. 100% vegan. For a veil of color and bolts of high pigmented hues, HYPERSILK Color-Treated Shampoo & Conditioner deep cleanses and nourishes hair without stripping color or shine. Free of sodium chloride, it contains a blend of natural oils, amino acids, vitamins, and protective antioxidants, which promotes shine. 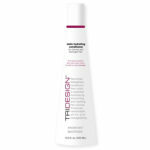 Say hello to fade-defying color with growth and moisture and bye-bye to frizzy damaged lack-luster colored hair. Benefits: Sodium Chloride Free, Keratin infused, formulated with amino acids and antioxidants, gentle formula that will not strip the hair. Quick Tip : Rinse hair with cool water to close the cuticle and seal in nutrients and shine. The Secret weapon to fabulous moisture and remedy for damaged hair. 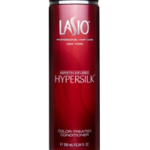 HYPERSILK Revitalizing Masque is a multi-purpose reparative keratin-infused conditioner. Get a leave-in treatment, deep conditioner, and masque all in one. 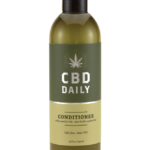 Use this nourishing conditioner before swimming to shield against salt and chlorine or simply protect keratin treatments. 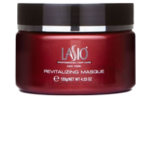 Invigorate glamour and let your hair make this masque its home. Benefits : Keratin infused deep conditioner that can be used to prolong Keratin treatments. How to Use : As a deep conditioner – apply a small amount to wet hair and leave on 15 minutes. For added conditioning use with heat. As a leave-in treatment – Apply a small amount to towel dried hair and style. As a protective mask – Apply to damp hair before swimming and exercise. *be sure to rinse hair immediately after exposure to saltwater, sweat and chlorine. 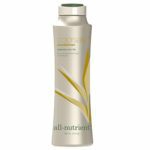 This botanical formula captures the essence of Earth’s natural resources to restore health and harmony to the hair. Organic Kiwi Extract, with Vitamins E and B5, nourishes the hair and scalp to replenish moisture and shine. Rainforest Pequi, concentrated with proteins and fatty acids, repairs the internal layers of the hair to strengthen and revitalize. 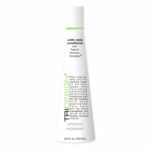 UV & Color protection formula. DEA & MEA-free. Paraben-free. Gluten-free. 100% vegan. This is the ideal system for controlling curl and improving the healthiness of dry, frizzy, damaged hair. Active Keratin Proteins and Keratin Amino Acid Sequencers strengthen and rebuild the hair’s polypeptide chains deep within the cortex. Rice Bran Oil’s essential fatty acids nourish and soften dry or curly hair. Regular use of this 2-step conditioning system controls volume and leaves hair silky and manageable. UV & Color protection formula. DEA & MEA-free. Paraben-free. Gluten-free. 100% vegan. 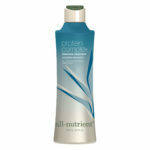 This rich formula provides vital nutrients to make hair fuller, thicker, and healthier. Quinoa and Keratin protein rebuild the hair’s polypeptide chains, adding strength and texture. Natural Raspberry Extract combines vitamins A, B-5, E, and F with Ginko to rejuvenate dull, tired-looking hair, and revitalize your scalp. Rainforest Buriti Fruit Oil, plant amino acids, and marine minerals, blended with organic Sunflower Seed Oil, dramatically increase body and shine. UV & Color protection formula. DEA & MEA-free. Paraben-free. Gluten-free. 100% vegan.